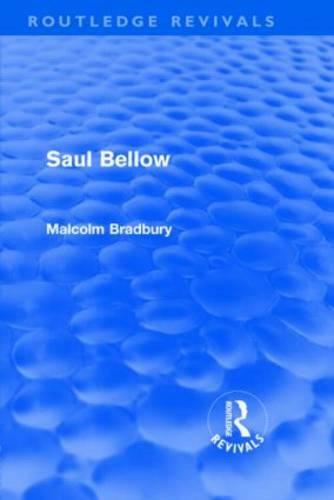 This study of Saul Bellow, initially published in 1982, looks at this Nobel Prize-winning author as a leading figure in the development of contemporary fiction, one whose work has, however, been challenged by more experimental, `post-modern' developments in the novel. Bradbury draws attention to Bellow's comedy, his sense of contemporary history and its stresses and anxieties, his attempt to sustain an adequate concept of the individual and the power of the imagination in an age of overwhelming concepts and notions of `death of the subject'. Above all, emphasis is placed on Bellow's contemporaneity and significance, his role in the contemporary possibilities of the novel.